I went into the garden today and took this photo of an ant tending to its pets - a colony of black bean aphids (Aphis fabae) also known as 'blackfly'. 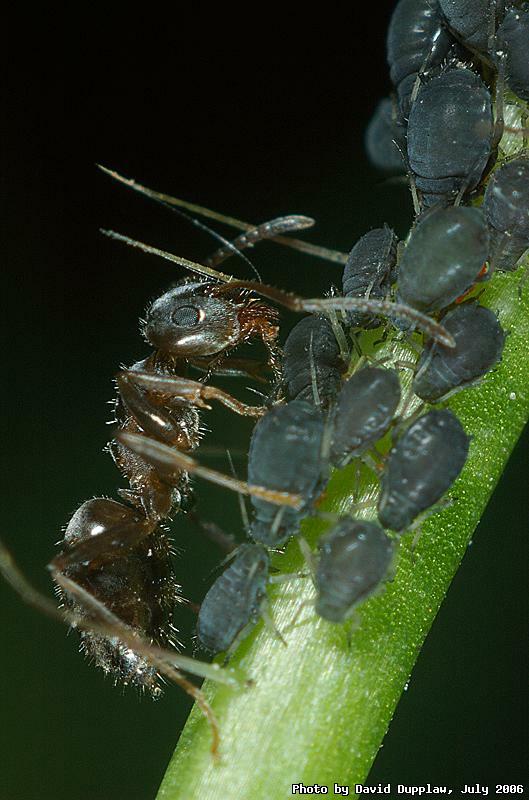 The aphids secrete a substance called honeydew which ants just love, so the ants protect the aphids from predators, such as the ladybird. The aphids are of course a serious pest to plants, and it's really this behaviour that means ants are considered a pest by gardeners. This is as it appeared in the camera - no cropping.